I am excited to announce that an exhibition of my photographs will open on 22 March at the Royal Geographical Society, London. 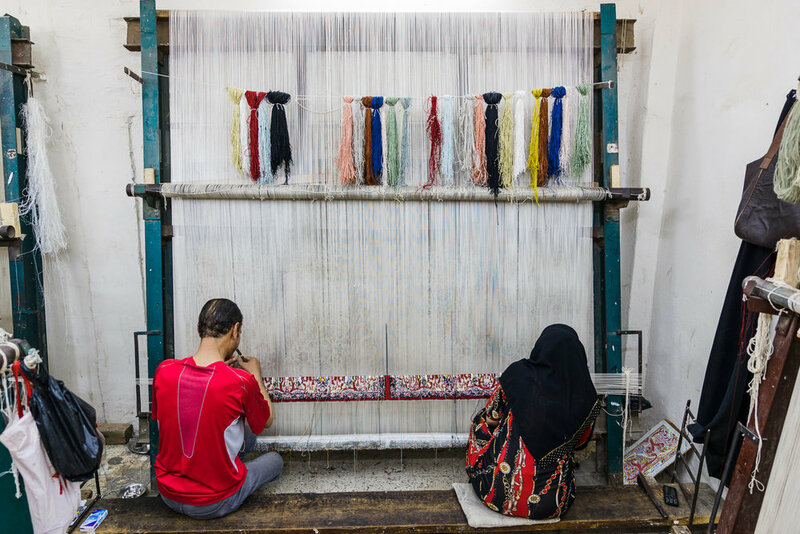 The exhibition celebrates the people, culture and activity that takes place in al-Darb al-Ahmar, a historic district of Cairo that is said to be home to 1,000 artisan workshops. 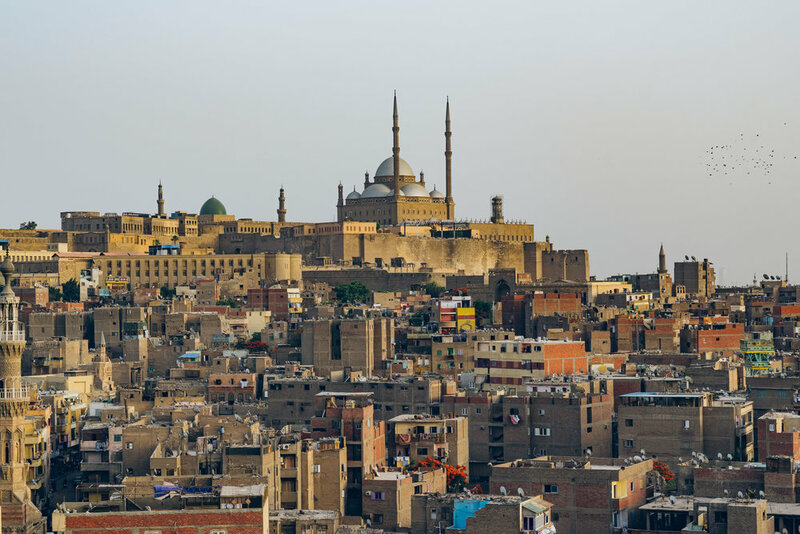 40 monuments of Islamic architecture are located in al-Darb al-Ahmar dating back to the Fatimid dynasty which founded Cairo (al-Qahirah - the Victory) in the 10th century. Several of these have been restored by the Aga Khan Trust for Culture, often drawing on the craftsmanship of the neighbourhood's artisans. 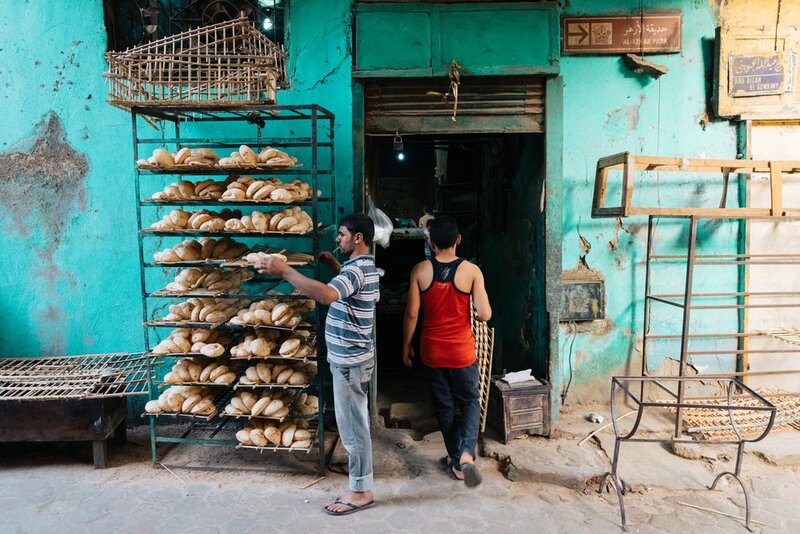 A maze of narrow and winding alleyways, al-Darb al-Ahmar connects visitors with a past and a way of life that can be found in very few places left in the world today. 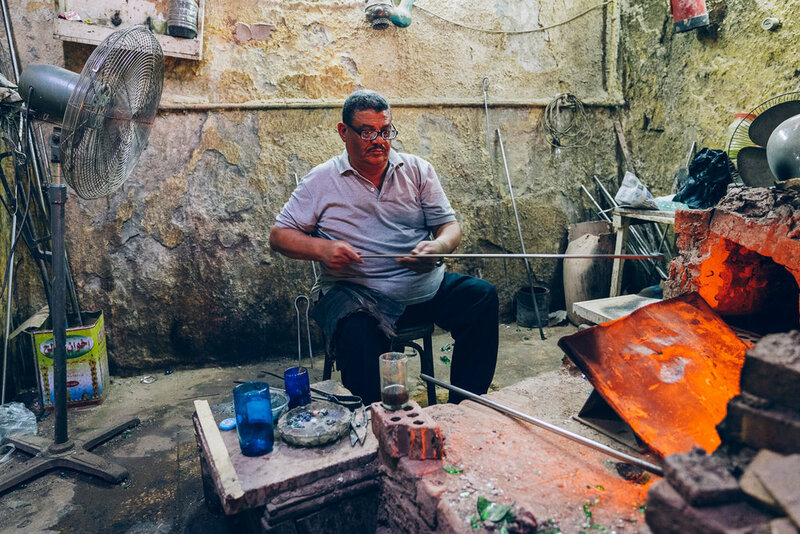 A huge array of crafts are made here - from brass lanterns, to tents, glassware, and furniture inlaid with mother-of-pearl - using designs that are unique to Cairo and, in some cases, the district itself. The view from the minart of the Amir Khyarbek Mausoleum across al-Darb al-Ahmar. The 'Blue Mosque' can be seen in the bottom right, recently restored by the Aga Khan Trust for Culture. 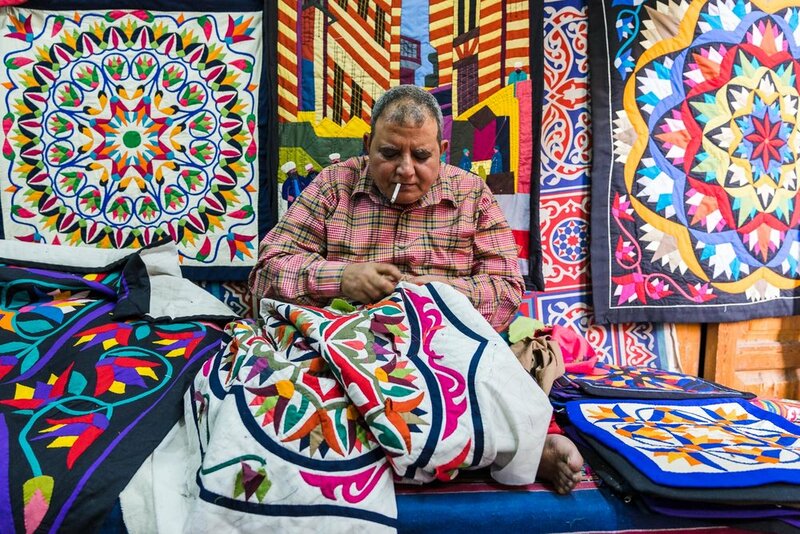 An artisan stitching a new design. 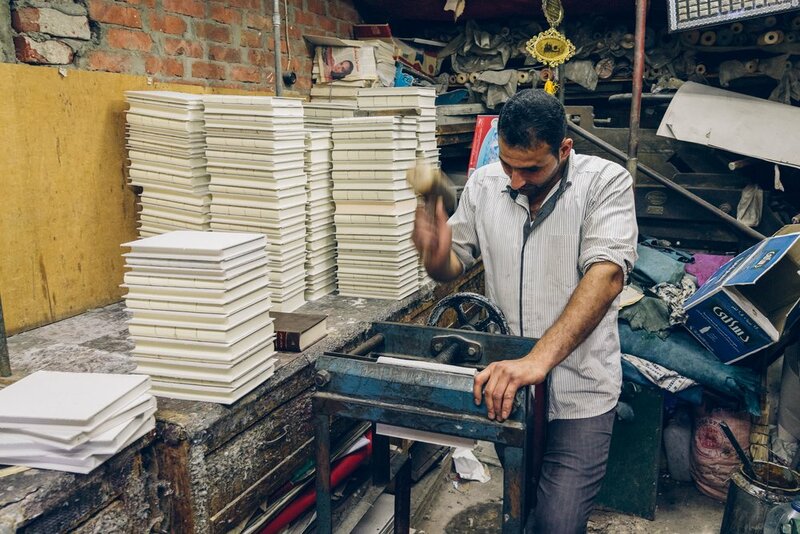 Read Hasan's story here. 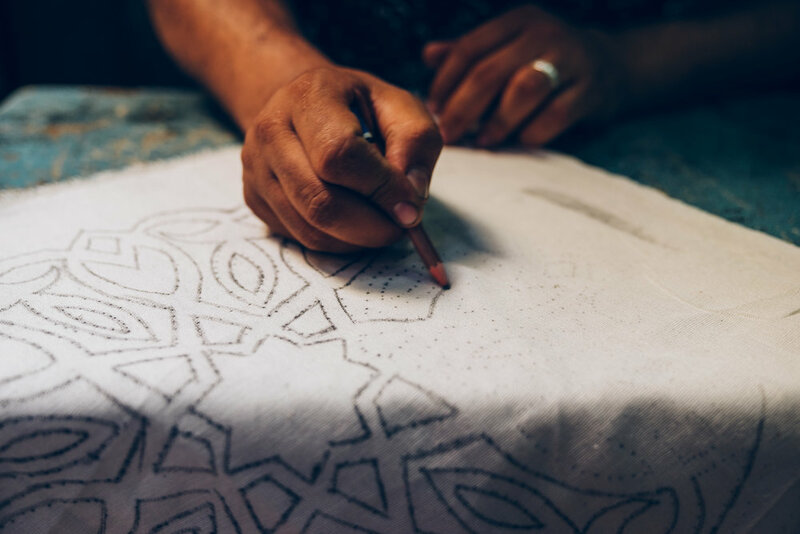 An artisan stitching a new design. 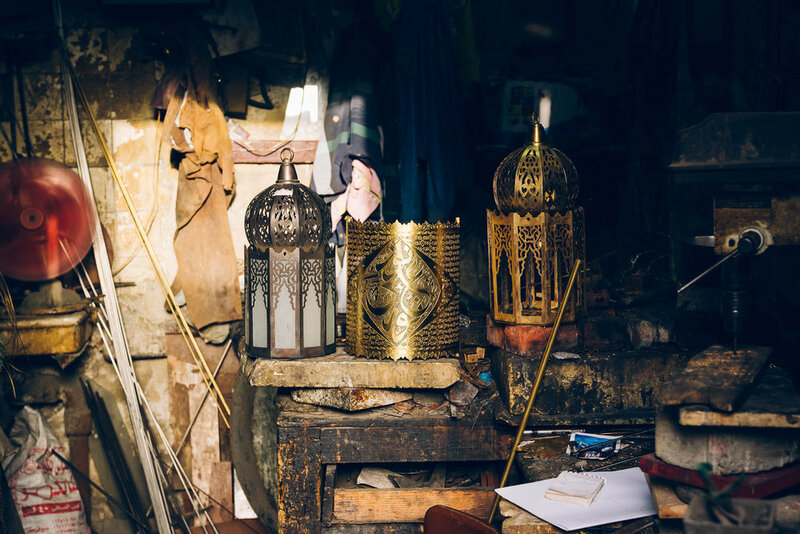 For centuries Khayamiya artisans produced tents, cloths and saddles for those embarking on hajj, the pilgrimage to Mecca. 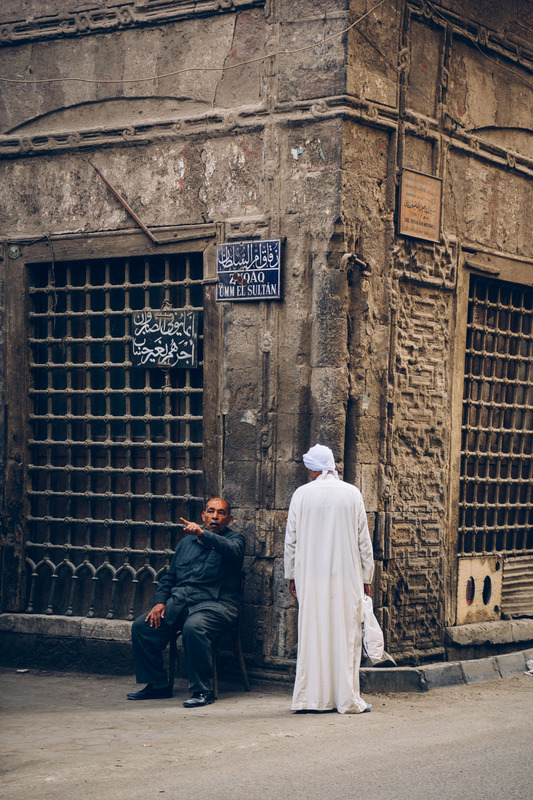 The Sultan, sitting nearby on the ancient Fatimid gate, Bab Zuwaila, would watch the caravan depart in procession. An artisan sketching out a new design. 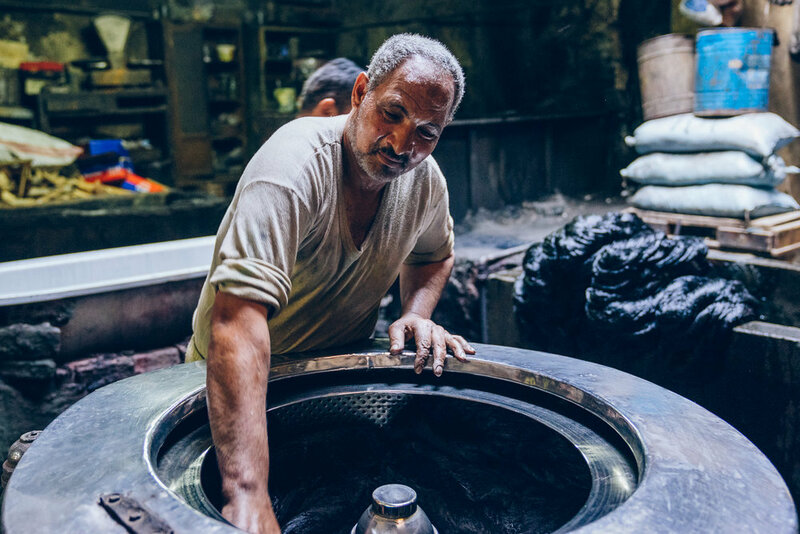 Read Hasan's story here. Mezala, a social development organisation supported by the Aga Khan Trust for Culture, works with marginalised women to train them with skills such as jewellery making and woodwork so that they can produce products and sell them to earn a living. Read Marwa's story here. “The children of the neighborhood are so interested. When they walk past, they ask questions, they want to learn. Doing this is better than education. 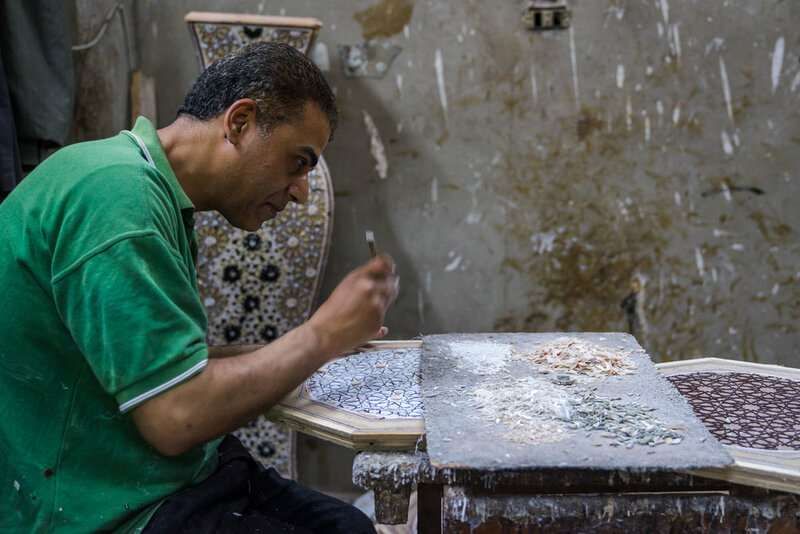 For people working in this way, they can make something; they can feel it.” Read Mohammed's story here. Tools of the trade. 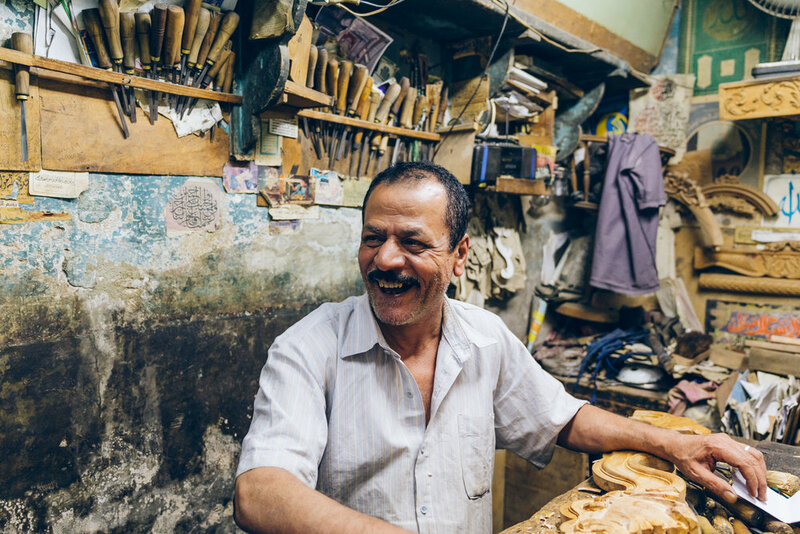 Read Mohammed's story here. With some of his creations. 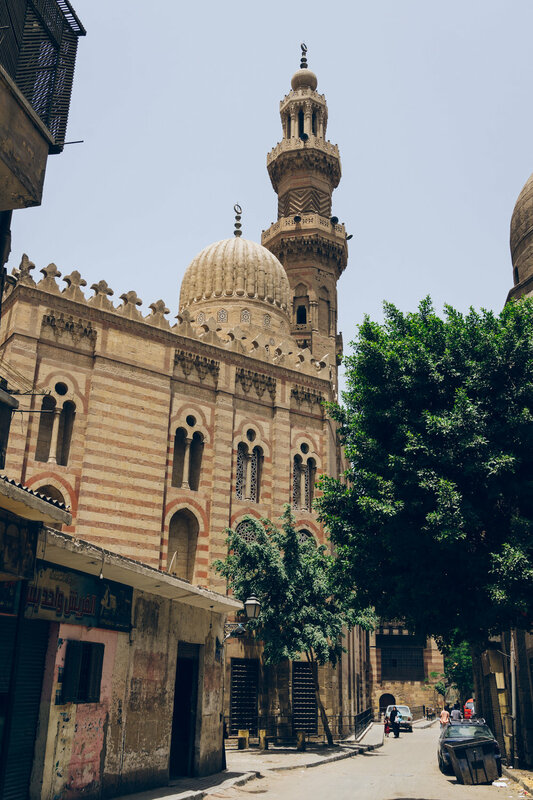 Several hotels in Cairo and nearby mosques have commissioned pieces. 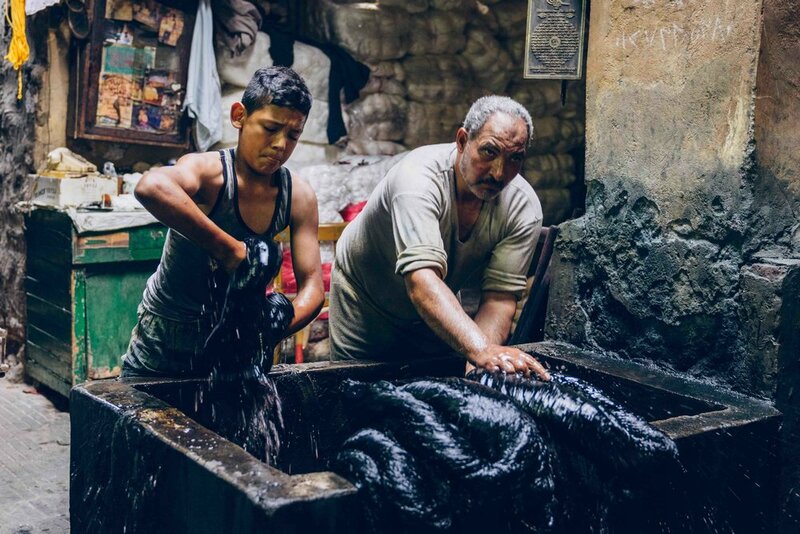 Read Mohammed's story here. Some of Mohammed's creations. 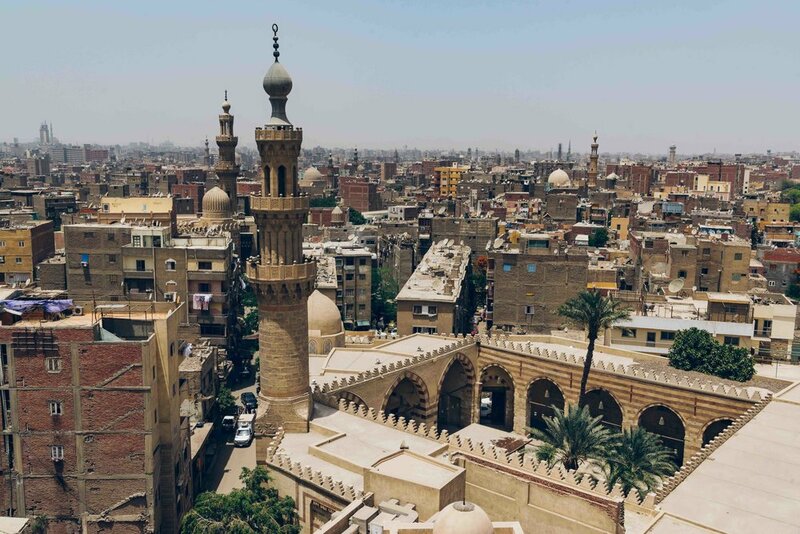 Several hotels in Cairo and nearby mosques have commissioned pieces. Read Mohammed's story here. The 14th Century al-Maridani mosque. Restoration work by the Aga Khan Trust for Culture is due to start later this year and will draw on local craftsmen. Both ancient Pharaonic and Roman columns can be seen here. "It's hard work but I like it." Read Aslam's story here. 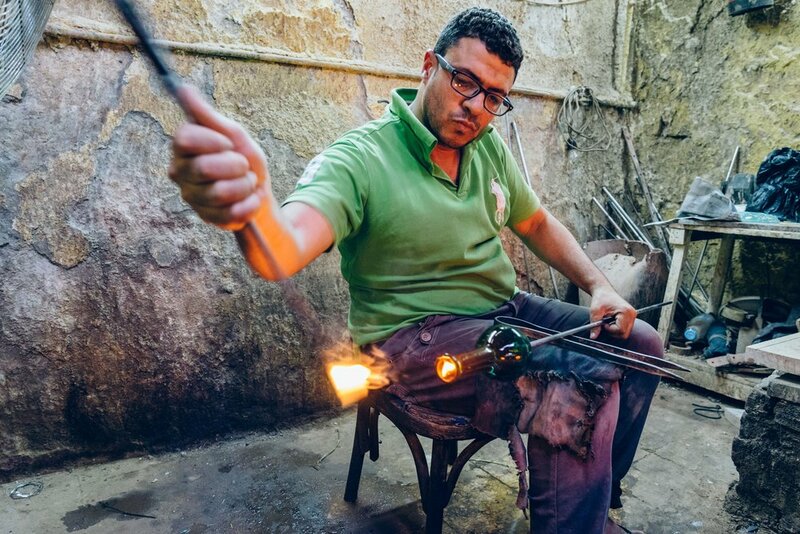 Cairo's most famous glassblower. Read Hodhod's story here. One of Hodhod's sons at work. Read Hodhod's story here. When this mosque was restored by the Aga Khan Trust for Culture between 2002 and 2010 the glass used in the windows was produced by Hassan 'Hodhod's glassblowing workshop. The decorative covering is made from thin strips of polyester. It is heated up and stuck to the wood. The mother of pearl comes from molluscs from Australia. The wood is mahogany and comes from Hungary. The source of designs are Islamic and Arabic patterns. They come from old Islamic books. “I don’t like work. I like play”. 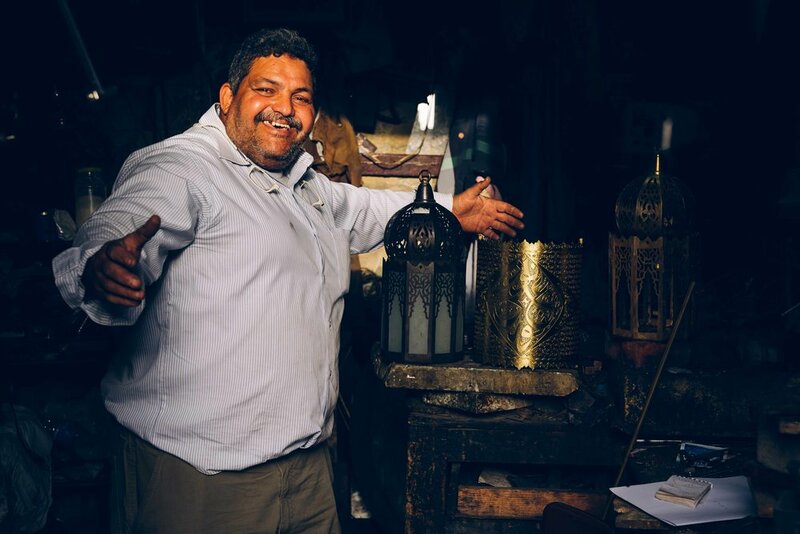 Read Hesham's story here. It takes two people working eight hours a day, six days a week, six months to produce a carpet this size. Read Hassan's story here. 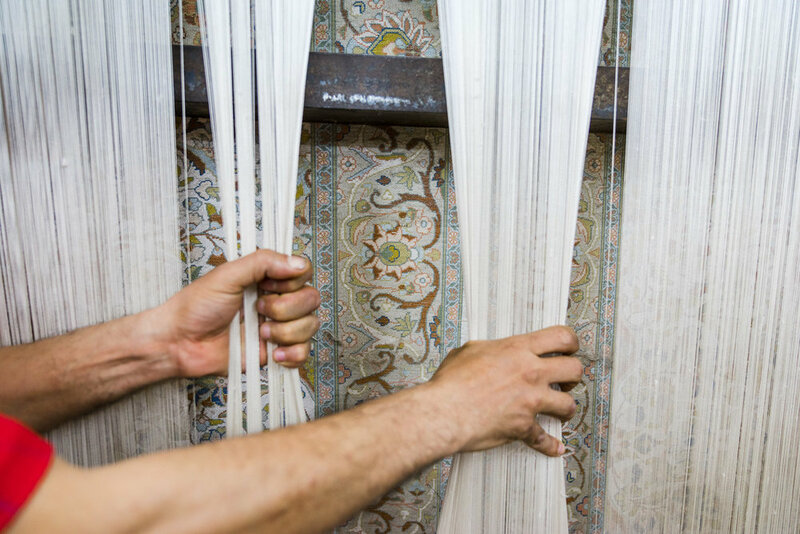 Hassan reveals the part of the carpet that has been produced so far. Read Hassan's story here. The exhibition captures the life and diversity of this historic and dynamic place as it is today. 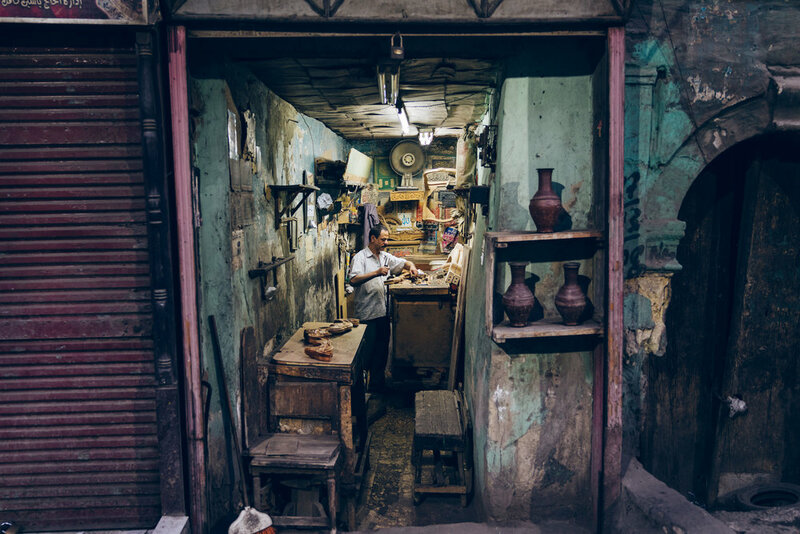 It showcases the people and personalities that make up daily life and show a side of Cairo and Egypt that the media or tourist industry rarely present. 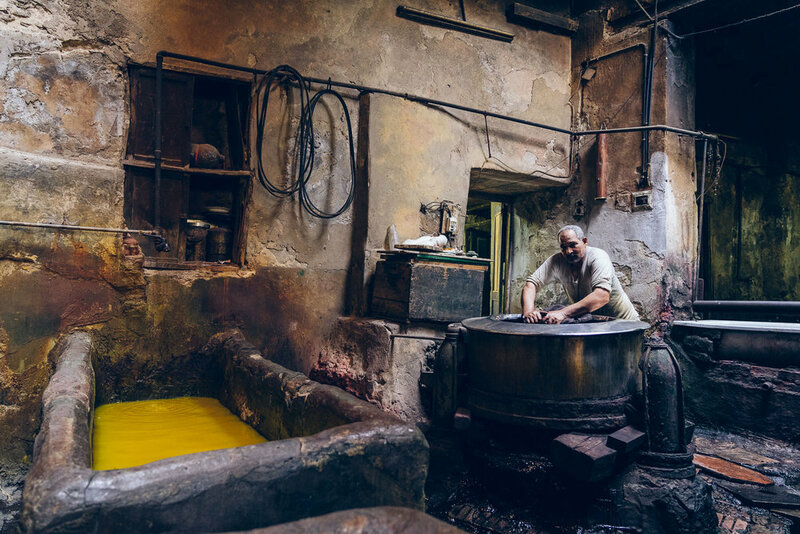 In doing so, the exhibition will present artisans at work, some of whom are part of a tradition going back a thousand years, but whose skills may not last another generation. 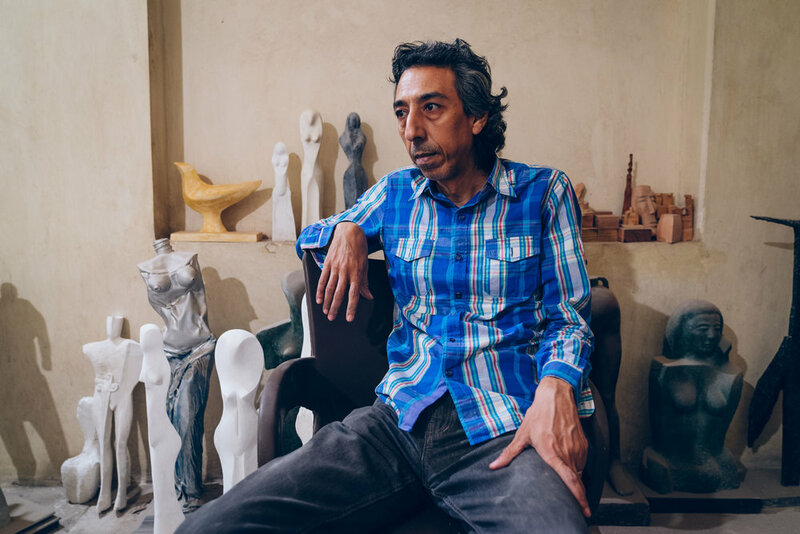 This exhibition aims to inspire greater interest in this relatively undiscovered district of Cairo and encourage people to visit this special place – “the soul of Egypt”, as one artisan described it. 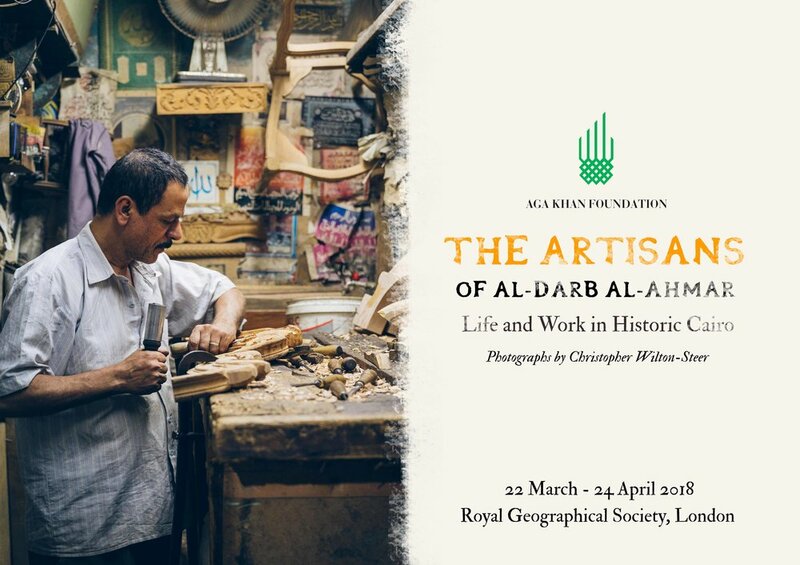 The Artisans of al-Darb al-Ahmar: Life and Work in Historic Cairo runs from 22 March until 24 April 2018 at the Royal Geographical Society. This exhibition is supported by the Aga Khan Foundation.